These are OTT’s estimated revenues in 2022. Needless to say, OTT is the next big thing in the media and entertainment industry for the upcoming years. Let’s see 7 trends that will impact directly all OTT services. According to many studies, content diversification is essential. According to Mediametrie (French company), more than 32% of SVOD subscribers use a service “to access a large panel of video contents”. Indeed, offering youth programmes, films, series, documentaries, concerts, etc. is now a must for these services. You can see it on Netflix, which has invested a lot in acquiring new programs such as one-man shows, concerts, documentaries and so on. Even if your VOD service is focusing on a niche thematic, you need to diversify the type of contents. Today, being able to expand its catalogue in order to offer a diversified content will make it possible to satisfy a maximum number of subscribers and of course to open up the field of potential prospects. To understand the most effective content in your catalogue, you can use Flamefy tools such as content performer, which will allow you to optimize your editorial offer and better target your audience. Thanks to the new TVs and smartphones quality, 4K is now available to everyone. Standard HD (1080p) has almost become… the norm. This new feature allows content providers to differentiate themselves to provide the best possible customer experience. It has now become almost mandatory to offer its content in the best quality for its audience. The 4K also allows you to offer even more “premium” package. Indeed, many streaming platforms use it to create a slightly more expensive offer, including higher quality contents. This is an interesting option for your VOD pricing strategies, paving the way for better profitability. With the live streaming market estimated at more than $30 billion, it is not surprising to find it in future trends. It is expected to grow to 70 billion by 2021. This type of video offers a much higher engagement, 3 times more playback than a traditional video according to Facebook statistics. Live streaming reminds us of the social function of traditional television: live events unite people. Offering “live” video content can allow you to create new monetization models: either by creating new premium offers for your subscribers if you have a SVOD platform (in order to convert part of your subscribers to a more expensive offer), or by offering pay-per-view content (therefore on a TVOD model) to diversify your business models. Today, the tendency of the major OTT players is to produce original content. By 2016 Netflix had already produced more than $5 billion and they decided to increase the budget to $7 billion for this year, for a total of 700 productions. Amazon will answer with their series The Lord of the Rings, which is expected to exceed 1 billion USD. Indeed, between the acquisition of rights, production, broadcasting and communication, the budget should reach historical records and become the most expensive series. Quick note: some TV companies still spend more for content: ESPN buys sports rights, for more than 7.3 billion last year. The exclusive content strategy is effective even for smaller platforms, let’s take the example of PassionFlix, an US niche platform on romantic films that decided to produce its own contents after noticing that these films generate more screenings, reactions, engagement etc. The result is a real success for the platform, which plans to make 7 films over the year. Original content is the main way to differentiate yourself among other platforms. In addition, price for a SVOD subscription is easier to justify if it includes exclusive content. The algorithms. Thanks to them, your subscribers feel like they’re constantly getting new content on their platforms. They allow the catalogue to be highlighted in a personalized way. With AI, content creators and platform editors can get more insights with video metadata, understand audience peaks, identify trends as the most watched segment, etc. This is really the key to creating a better distribution platform and boosting your audience’s retention rates. FlameFy, our sister company, offers many tools to help platform publishers integrate intelligence into their VOD services. Whether it is for editorial recommendation, but also for image and sound recognition, or even marketing automation. Many services can generate commitment and increase the perceived value of your VOD platform. Contact us on info@flamefy.com for more information. These new technologies will have a strong potential within the OTT industry, Netflix had launched its “Netflix zone” in partnership with the HTC live. These technologies offer a real differentiation and provide a unique customer experience. Moreover, these videos create an extremely strong engagement: for 360 videos, Facebook has noticed that they generate on average 4 times more shares than a traditional video. The only problem with these video is that they require specific devices, which makes the usages even more disparate. However, more and more companies are investing in these technologies in order to democratize them. Sports services have a lot of potential. These, like in the linear world, become very popular in OTT. These major events create a passion around platforms, today most major sports leagues have created their platforms (NBA, NFL, etc.) and we expect to see many other in all kind of sports soon. 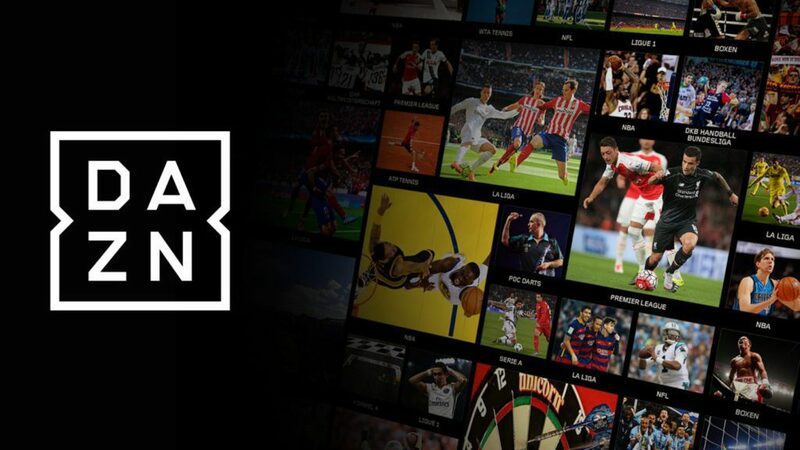 DAZN, an OTT sport platform, offering live events for only $9.99, starts to be bigger and bigger and may be one of OTT’s leading international sports brands in the next years. You want to deploy your own VOD platform in OTT, sign up on OKAST or contact us at hello@okast.tv !